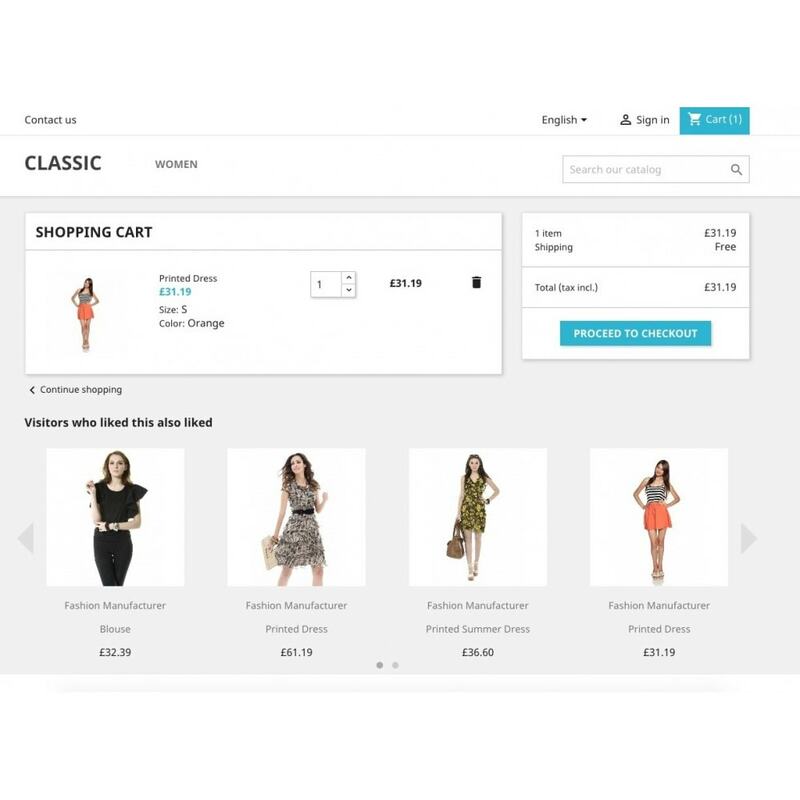 Personalization is a Must-Have for every PrestaShop. Maximize revenue, minimize effort. Easy as pie with Recolize! Use for free, no credit card required. Did you know that most of your shop visitors leave without any interaction? 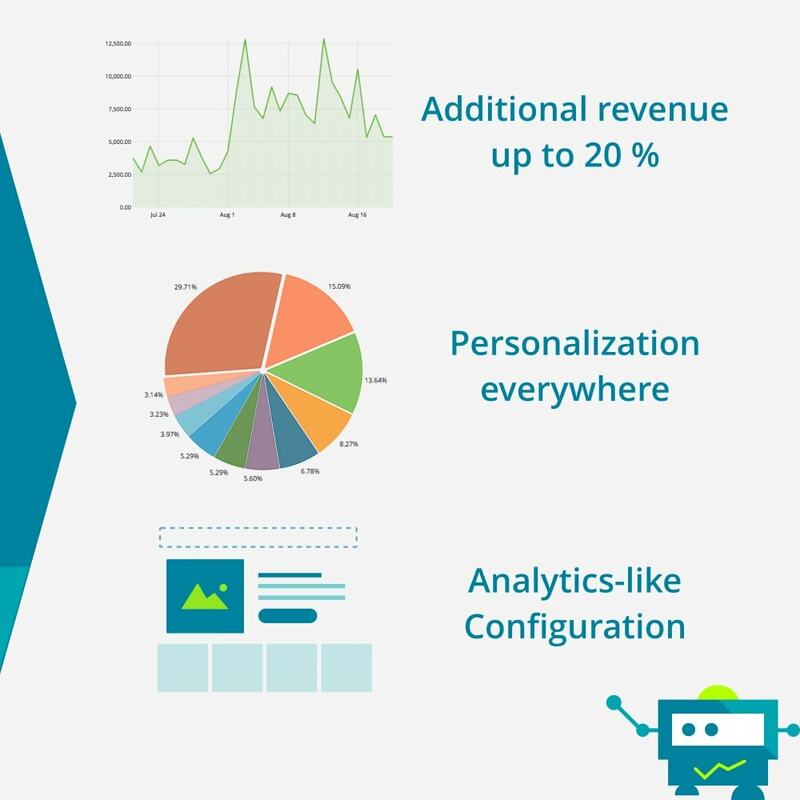 Optimize your traffic with fully-automated personalized product recommendations and excite your customers with the right products at the right time. Start now with the Recolize Plug & Play solution for free. Success-based pricing: after 300 clicks on recommendations for free each month you pay only 0,039 € per click. 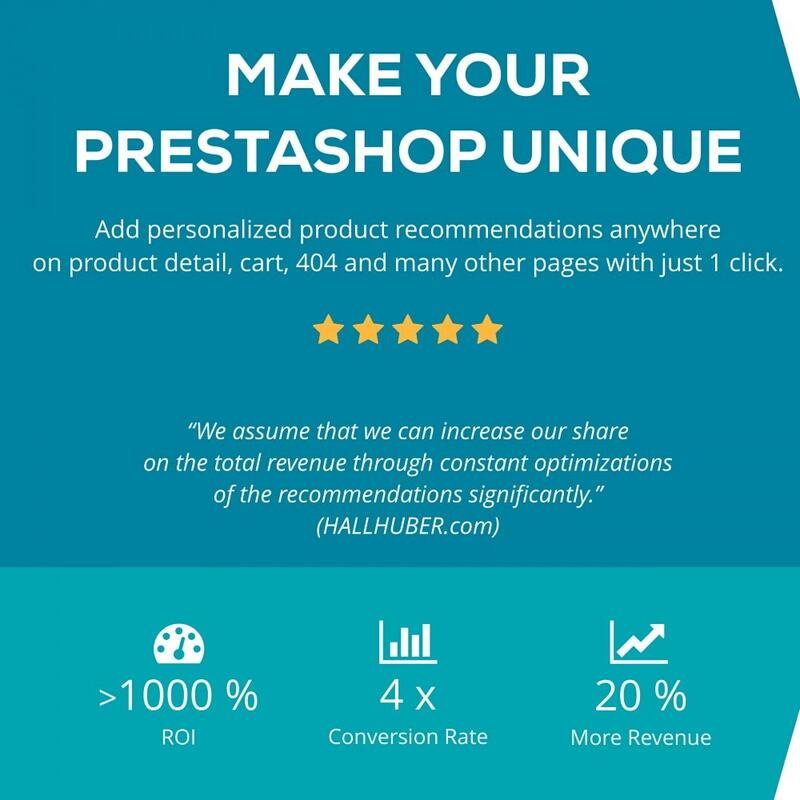 Display Personalized Products, Cross-Sells, Up-Sells, Bestsellers or Last Viewed Products with an unlimited number of recommendation carousels on every page of your PrestaShop. And share personalization across all your domains like blog, shop and company website. Copy one of your site adresses in the browser address bar and optimize recommendations for it. Define rules like "display personalized red shoe sale products for black clothes" and add recommendations to seasonal landing pages. 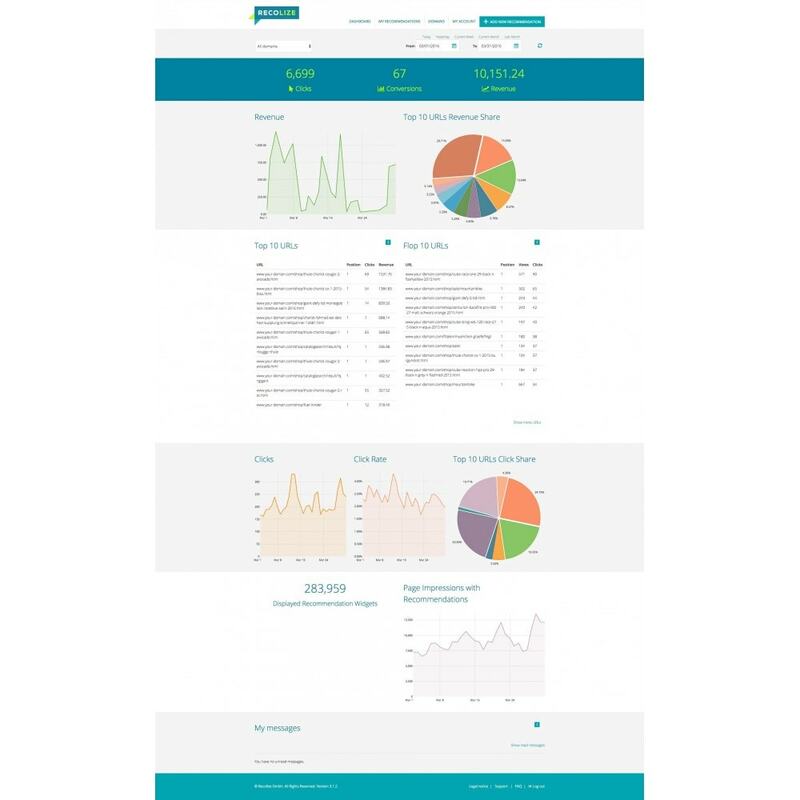 Analyze the success of every single page in real-time. 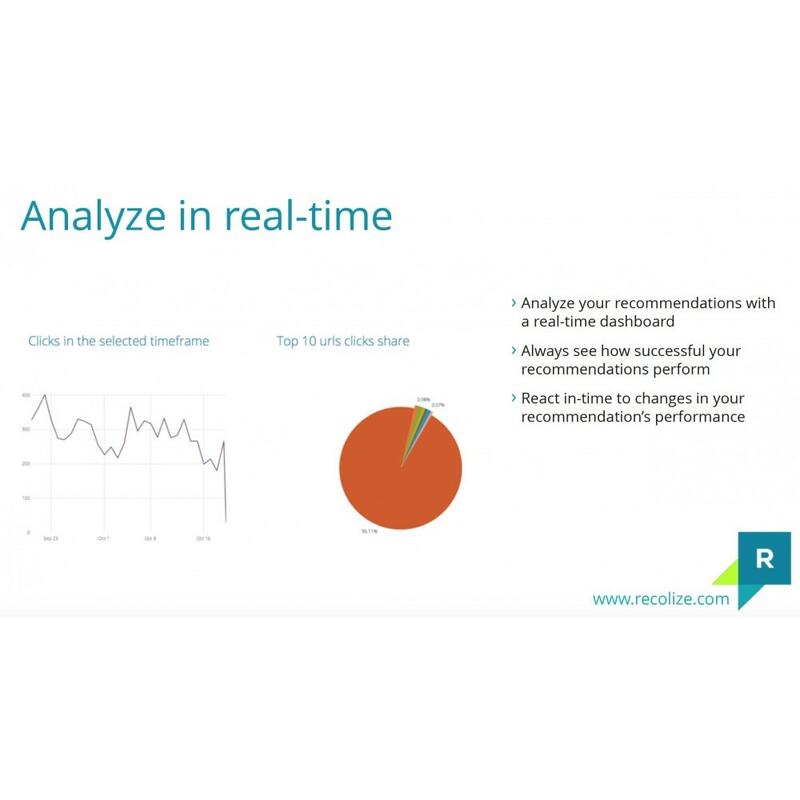 Improve the performance of your recommendations with our intelligent hints. There are plenty of other goodies to explore like endless filter possibilities, teasering, custom styles, German data security, etc. 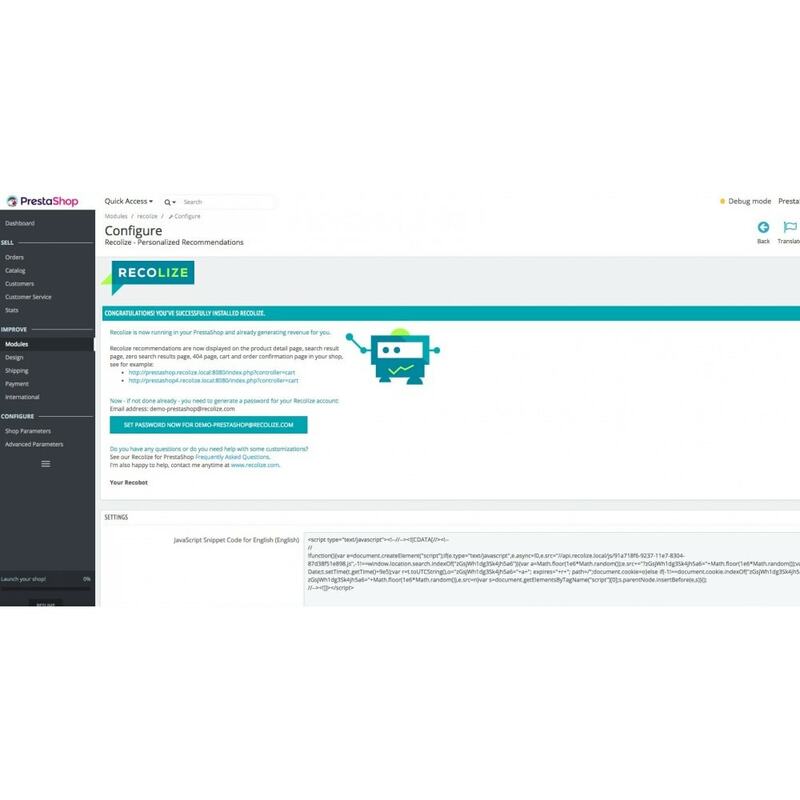 You can find Recolize in the module category "Advertising & Marketing" for PrestaShop 1.5 and 1.6 or respectively "Promotions & Marketing" for PrestaShop 1.7 in your backoffice. Install our Recolize module for PrestaShop and immediately start with your recommendations with a monthly free click contingent and without any obligations. 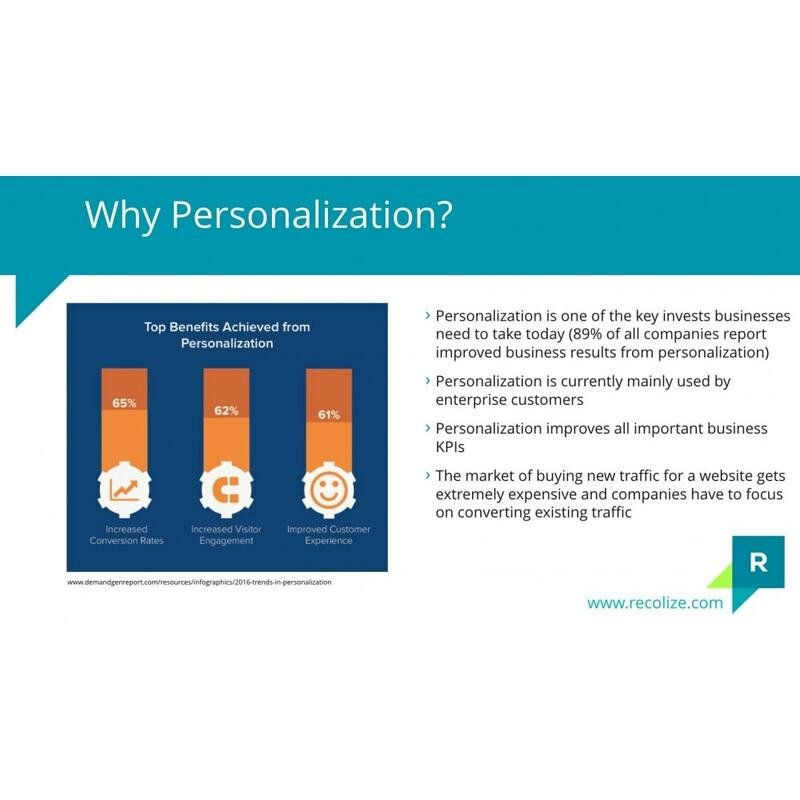 Personalization easy as pie with Recolize.